Jonathan is a proud Chicagoan who’s passion for real estate is evident in his representation of his clients. 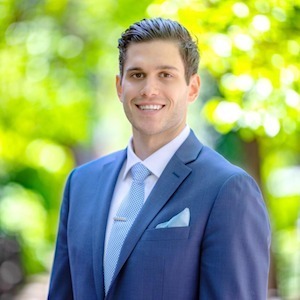 Having lived in Bucktown, Wicker Park, Old Town, and Streeterville before settling in River North Jonathan's knowledge of Chicago neighborhoods and housing make him a valuable asset to his clients, especially first-time home buyers and clients relocating to Chicago. Before joining Joe Kotoch Real Estate, Jonathan was a two-sport collegiate athlete and graduated from Illinois State University with B.A. in Business Administration. As a former collegiate athlete, Jonathan truly understands the importance of working together to achieve a desired goal. His goal is not only to help his clients find their dream home, but to provide a level of service and expertise unlike any other from start to finish. In his free time, Jonathan enjoys boating, biking along the lake path, snowboarding, traveling, and going to art museums. Jonathan also supports Street Samaritans and volunteers at Ronald McDonald’s House.